Not only did I have a great dad. But I married one too. 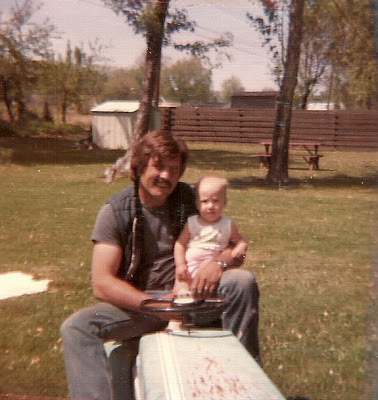 My dad was the man. He was 110% a man's-man. But he knew just what to say to his daughter. Like...how she was smarter then any boy and could do anything they could do, and do it better. He was never afraid to let me be who I am. He was strict and hard on me - but at the same time could be gentle when I needed it. He showed me how a women should be treated by the way he was with my mom. 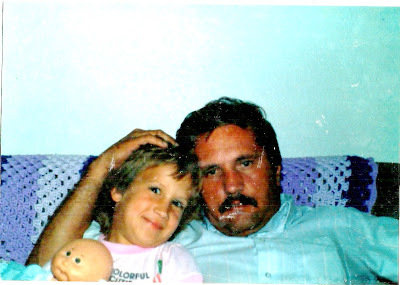 Whenever I hear the song "Daddy's Hands" by The Judds...it always makes me think of him. Him and I were thick and thieves. He passed away last year after a long battle with cancer. I miss him everyday and can't wait to be with him again. 1980-ish. Look at all that hair! I have similar pictures of him on a mower with my boys. I remember this picture. My parents had just bought their first nice camera and tripod. 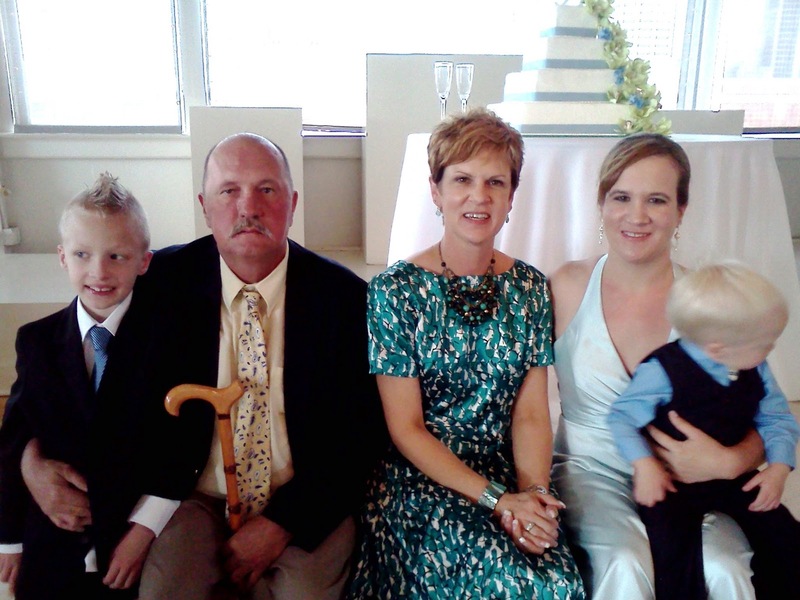 Our last family picture taken at a friends wedding. I married a great man too. He'll play football or basketball with our boys till the bitter end. He's the dad who is wrestling on the floor. He's the dad who helps coach the teams. Chris also changed the diapers, kissed the boo-boos and listens when the kids want to talk. He is stern with the boys when that's what they need and tender when they need that too. Chris tells the boys how smart they are and how proud he is of them. He tells them how much God loves them and how special they really are. Like I said, two great dads. Happy Fathers Day to all the great dads out there!